Parts of this building go back to the 18th century, apparently! One of the greatest things about this city is the legendary Brudenell Social Club in Hyde Park, but of course it’s outside our Quest area. 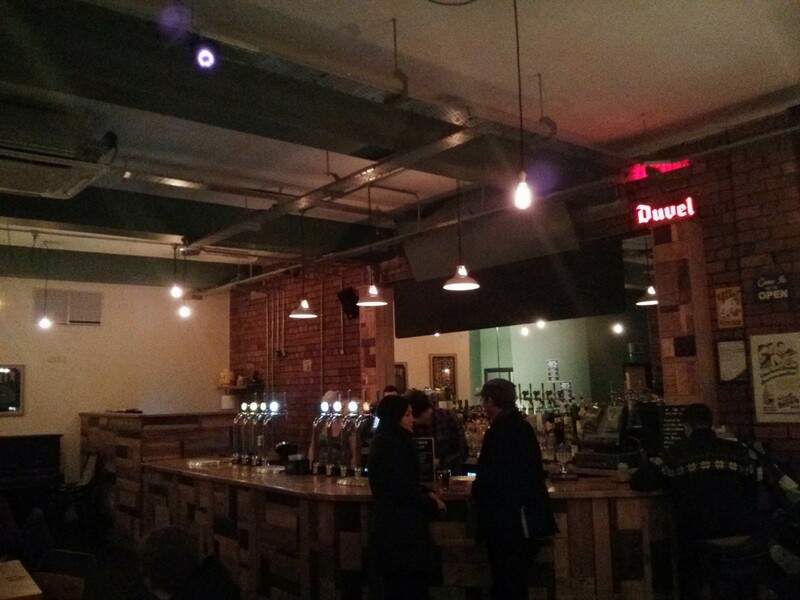 So imagine how excited we were to discover that a new bar had opened in the city centre as a collaboration between the Brudenell and Sela. I’ll tell you: we were pretty damned excited. The bar. And is that a giant Lego head in the corner? It is! The Social occupies the ground floor of Nash’s, replacing Sedgwick Ave which opened and closed before we could even review it. The inside is not small but it has very few tables. On a quiet night this made the atmosphere very comfortable indeed although I’m not sure how it will be when it’s really busy. 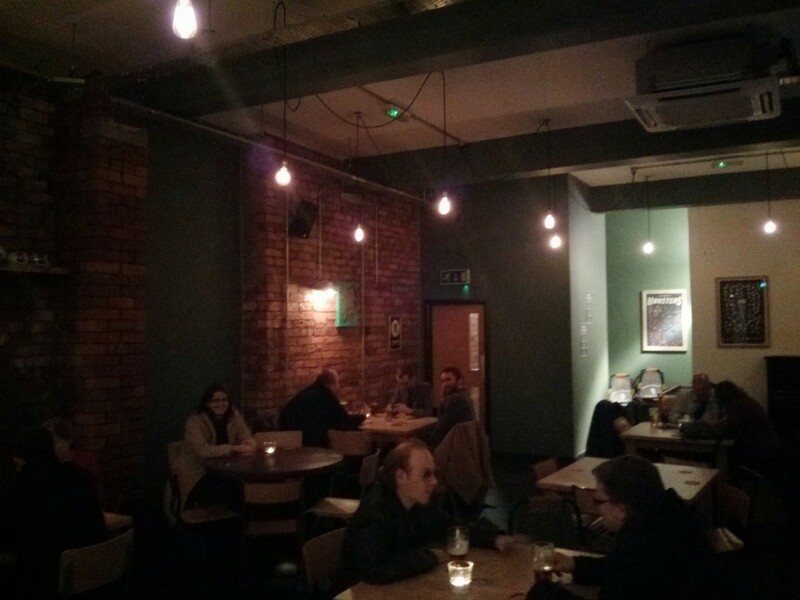 The décor is eclectic, with exposed brickwork and lightbulbs, various retro beer posters, a piano, a table football table and… er… several giant Lego heads. 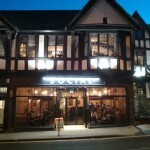 This gives you an idea of how spacious and relaxed The Social is. The two parent venues have great taste in beer and this is reflected at The Social: There are 2 local casks (apparently always £2.90 each) and 8 kegs (including 1 cider). The kegs include the Kirkstall Framboise and a house “session lager” which Emily tells me was very poor, but never mind. The real joys are in the fridge: beers from Sierra Nevada, Stevens Point, Thornbridge, Great Heck, Odell, Brooklyn, Duvell and Sam Smith’s. And amazingly for this part of town they’re not even going to break the bank. More Lego heads! 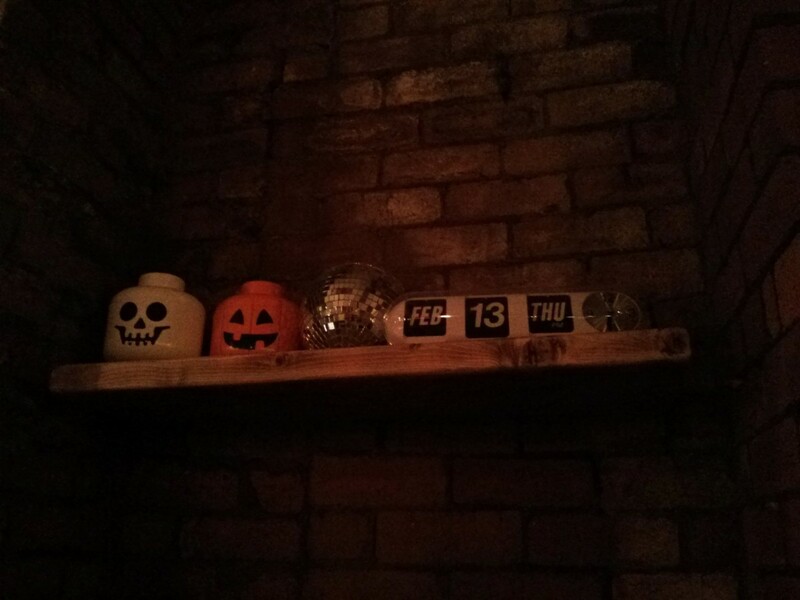 And a calendar telling the correct date. Useful! Food comes in the form of stew-of-the-day and bread at £3.50 a go, which seemed quite reasonable. And music is obviously a big deal here: I heard a dozen tracks from some of my favourite indie albums of the last 10 years while we were reviewing it. 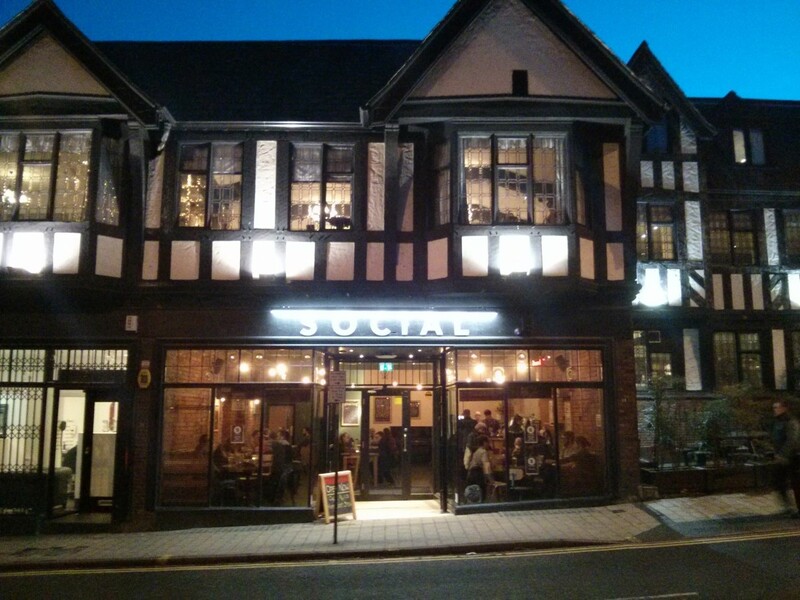 Social is a welcome addition to this part of Leeds. Anywhere that sells good beer at good prices is going to get our vote, but when it’s somewhere that’s this nice it gets into top-10 territory. I found this place to be stale and lifeless with a barman who was more interested chatting up the overly drunk and very loud 2 females stood at the bar. At one point another customer went over to the girls to ask them to be a little quieter and the bar man did nothing. Not a good start in my opinion. Social is not a fantastic place, however it does what it needs to pretty well. The room is medium sized and the beer offerings are medium quality. The ales are occasionally nice and there are some OK beers to fall back on. It also serves Brooklyn like every other place in the city seemingly. 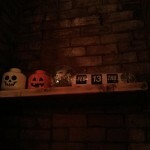 It’s nice that there is a price conscious bar and the patrons are all pretty friendly. 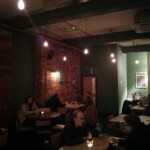 The atmosphere is bordering on non-descript but it is well lit, there is a nice hubbub and it’s all pretty inoffensive. I love The Social. 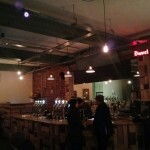 Unpretentious, good selection of beer and cheap (for the centre).